The countdown to see that multicolored ‘snake’ run through the streets of Torrevieja, Guardamar del Segura and La Mata has started! At the Hotel La Laguna Spa & Golf we are looking forward to arriving on August 27, when the Vuelta Ciclista a España 2017 will pass through our town, very close to where our haven of peace is located. 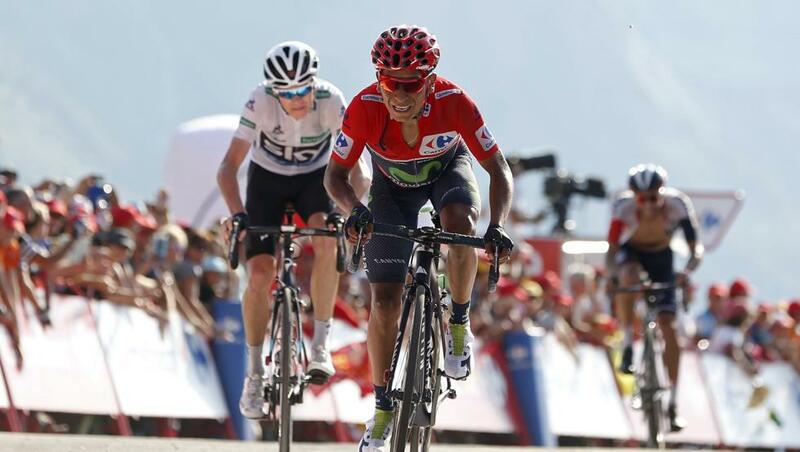 The Vuelta Ciclista will finish Saturday, August 26, on the Costa Blanca, coming from Albacete, to dispute the first great high end of this race. A day later, on Sunday, August 27, cyclists will display their endurance in the Orihuela stage. City of the Poet Miguel Hernández – Cumbre del Sol (El Poble Nou de Benitatxell), which, with a journey of 176.3 kilometers, is presented as one of the hardest and most intense traces of this edition, due in particular to the short but explosive rise final. The towns of Torrevieja, Guardamar del Segura, Santa Pola, El Altet (Elche), Alicante, Sant Joan d’Alacant, El Campello, La Vila Joiosa, Benidorm, Altea, Calp, Teulada-Moraira, El Poble Nou de Benitatxell, Gata Gorgos and Xàbia will also become the scene of this day that will run parallel to the coast of Alicante. With a flat exit, but with a high end, the passage of the Tour of Spain for Torrevieja promises to be very exciting. The cyclists will pass through Torrevieja at 13.26 hours, it is estimated that they begin to arrive at La Mata about 13.34 hours, and they run through Guardamar del Segura at approximately 13.44 hours. This national competition is disputed from Saturday, August 19 to Sunday, September 10, 2017 and will have 21 stages, with a total course of around 3 324.1 kilometers. At the Hotel La Laguna Spa & Golf we will not miss this event and surely we will encourage cyclists, after all, the Vueta Cyclist to Spain only passes through our town once a year, and we had the privilege of enjoying Her in 2015, but it seems that in 2018 there will be so much luck.